A silhouette of a crucifix and a stained glass window inside a Catholic Church in New Orleans is seen in this Dec. 1, 2012, file photo. 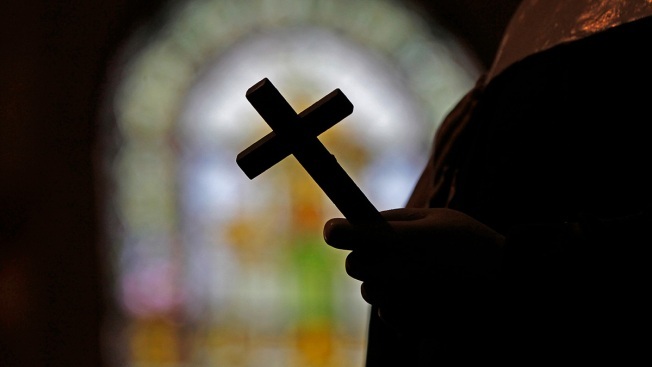 A California lawmaker said Wednesday the state should require clergy members to report suspected child abuse or neglect even if they learn of it during confession. Clergy members are among a list of more than 40 "mandated reporters," meaning they are required under state law to report suspected abuse. But that doesn't apply if they learn about something during a private communication such as confession, a sacrosanct practice in the Catholic church. A bill by Democratic Sen. Jerry Hill would eliminate that exemption. "The law should apply equally to all professionals who have been designated as mandated reporters of these crimes - with no exceptions, period," he said in a statement. "The exemption for clergy only protects the abuser and places children at further risk." Clergy includes priests and ministers as well as rabbis or other religious practitioners. Under state law, clergy can assert privilege over a "penitential communication," which is a statement made in confidence that the clergy must keep secret based on church doctrine. The California Catholic Conference says it supports clergy's role as mandated reporters but opposes expanding that to cover confession. "Getting the government in the confessional has nothing to do with protecting children and has everything to do with eroding the basic rights and liberties we have as Americans," said Steve Pehanich, the group's spokesman. While the bill deals broadly with child abuse and neglect reporting, Hill linked it directly to widespread sexual abuse within the Catholic church, saying clergy have been accused of covering up for other abusers. The Survivors Network of those Abused by Priests backs the legislation. "We grown-ups must be the voices of the traumatized children every time a child confides in us, no exceptions," Judy Klapperich-Larson, the group's vice president, said in a statement provided by Hill's office. "If a child believes no one will help them, they hold the secret and shame inside and question their perception of reality."